Forget the marshmallow chicks and chocolate bunnies. 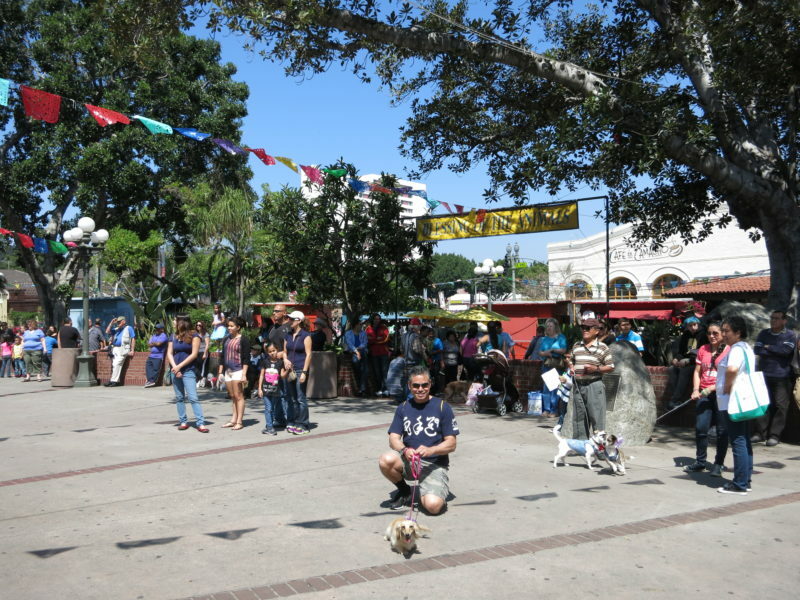 In Los Angeles, you can save the calories and feast your eyes on the furry and feathery versions at the city’s Easter tradition, the Blessing of the Animals at Olvera Street. 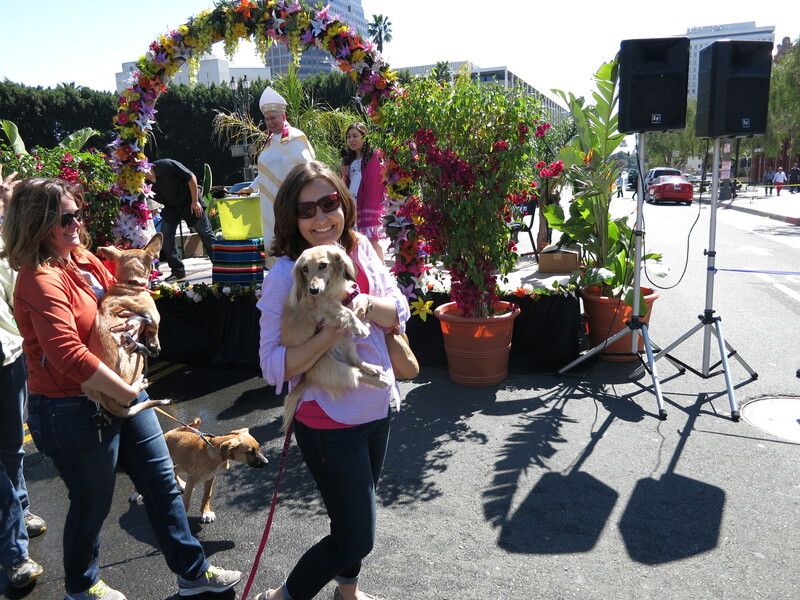 Now in its 83rd year, this annual event brings goats, cows, roosters, boa constrictors, iguanas, a brave cat or two and lots and lots of dogs for a sprinkling of holy water and blessing by the head of LA’s Catholic community. 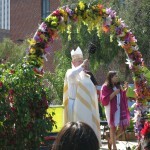 Archbishop Jose Gomez of Roman Catholic Diocese of Los Angeles blesses the animals on Saturday before Easter. 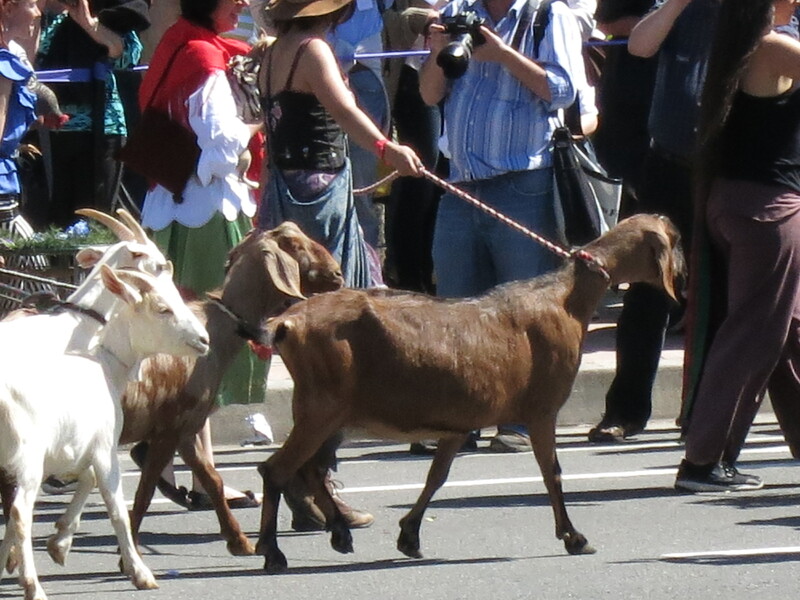 The organizers of today’s event claimed its roots in the blessing of farm animals, back when Los Angeles county was a more well known for agriculture than for movies, traffic and chihuahuas tucked into designer purses. 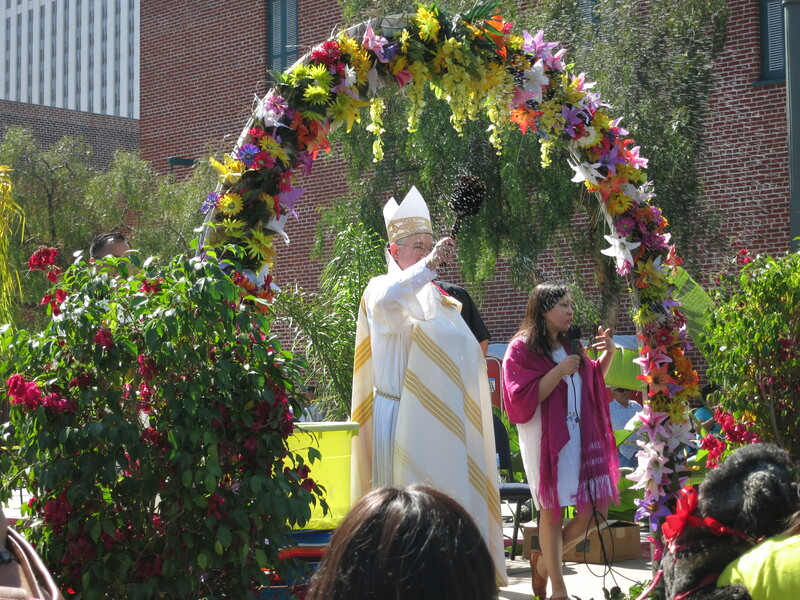 The blessing part, anyway, is reminiscent of the Polish tradition my mother grew up with — taking paska (homemade bread), pysanky eggs, butter and cheese to the Catholic church for a blessing on Easter Saturday. The pampered pet part, well, that seems uniquely LA. 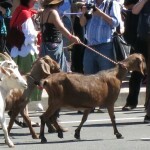 It’s an event the fosters a sense of community in this spread-out metropolis. We traded dachshund stories with a retired Marine, had our picture taken by a Japanese grandmother, accepted an offer of free water from a tough looking guy with neck tattoos and two shih tzus, and met a man who hitchhiked from Alabama with a wild rabbit he adopted along the way. All of us united in love for our animals and their companionship. Happy Easter! 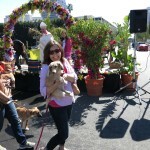 Me and Chloe, my miniature dachshund, post-blessing.